Himalayas, from the Sanskrit "Abode of the Snow"
The youngest mountain range on the Planet, therefore subject to terrible earthquakes like the recent one in Nepal, home to the 14 highest peaks on Earth, Himalayas are worshipped by all religions rooted here. 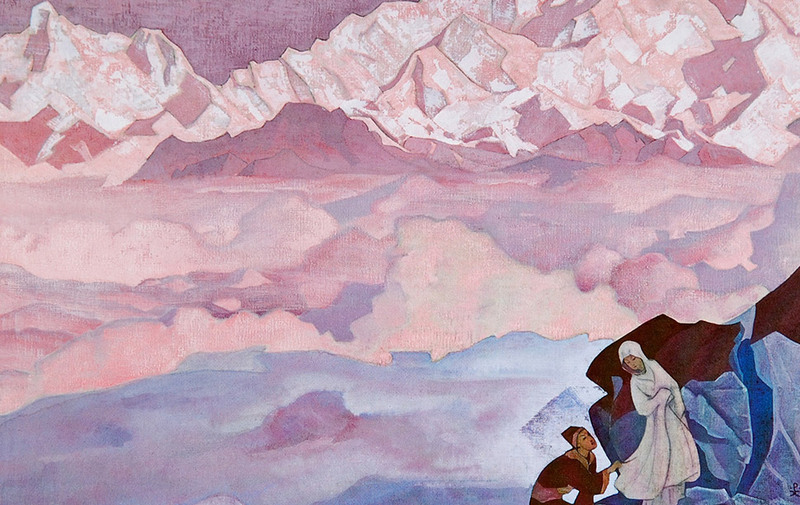 Nicholas Roerich, the famous painter of the Himalayas not only painted 4000 canvas and watercolours of the Himalayan mountains, but wrote unforgettable pages about them. 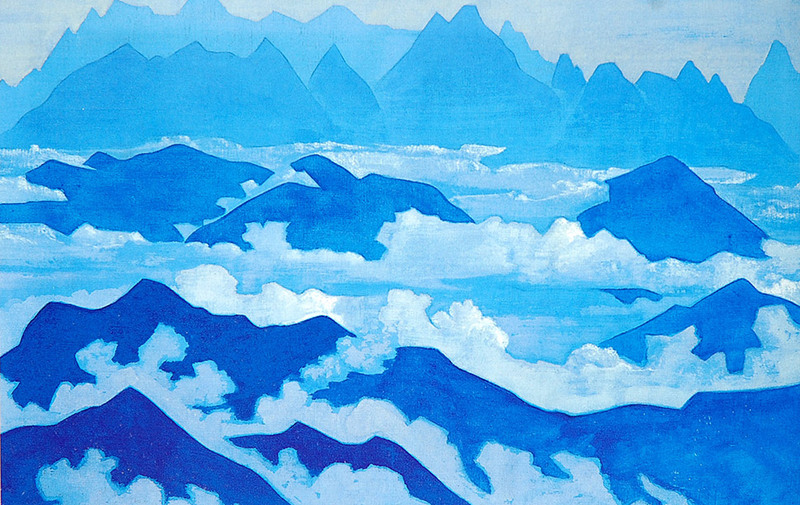 "As you ascend the peaks of the Himalaya and look out over the cosmic ocean of clouds below, you see the ramparts of endless rocky chains and the pearly strings of cloudlets. Behind them march the grey elephants of heaven, the heavy monsoon clouds. Is this not a cosmic picture which fills you with understanding of some great creative manifestation? The mighty serpent in endless coils sustains the milky way. The blue tortoise of heaven, and stars without number, are as diamond treasures of a coming victory. Where can one have such joy as when the sun is upon the Himalayas; when the blue is more intense than sapphires; when from the far distance, the glaciers glitter as incomparable gems. 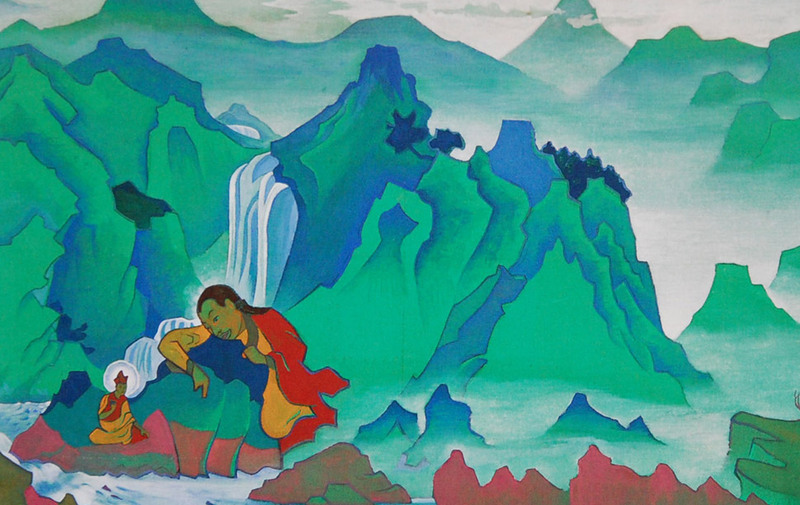 All religions, all teachings, are synthesized in the Himalayas. 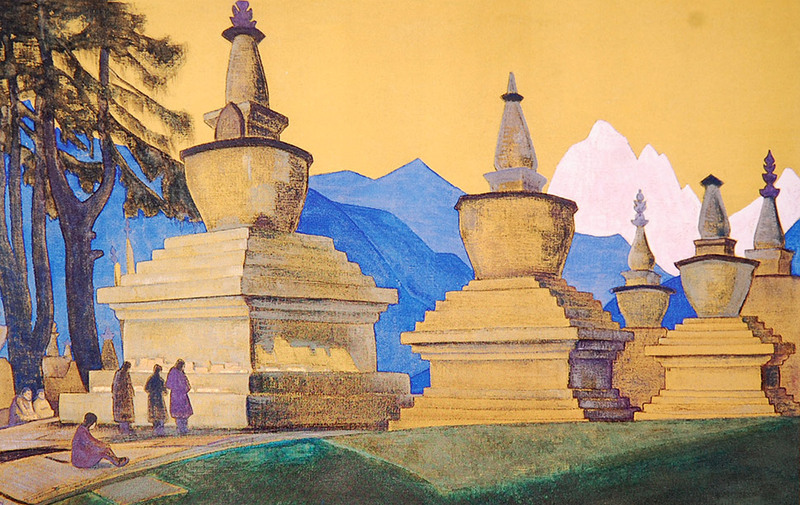 All great symbols, all heroes, seem to be brought close to the Himalayas as if to the highest altar, where the human spirit comes closest to divinity. Are the shining stars not nearer, when you are in the Himalayas? Are not the treasures of earth evident in the Himalayas? A simple sardar in your caravan asks you, “But what is hidden beneath the mighty mountains? Why are the greatest plateaux just in the Himalayas? Some treasures must be there!"